MIND Research Institute’s 2016 K-12 Game-a-thon for students is intended to cultivate a “life-long love of math.” Games should “feature creative and unusual solutions to mathematical problems” and can be board games, card games, apps, or outdoor games. Submissions must include a video demo and are due by July 1st. 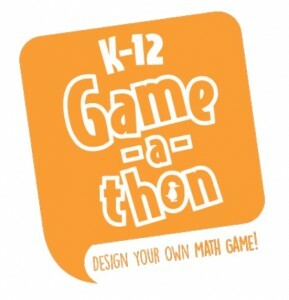 Thank you for sharing the K-12 Game-a-thon challenge!